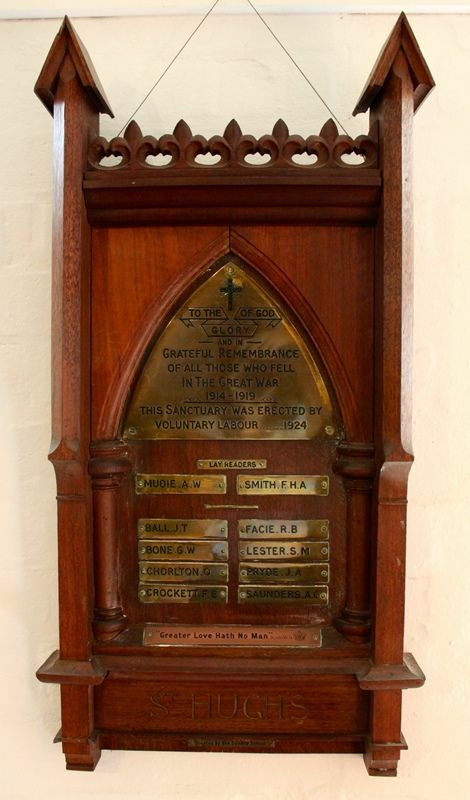 The brass honour roll is from the sanctuary of St Hugh`s Anglican Church in Jolimont which was erected by voluntary labour in memory of those who died in service or were killed in action during World War One. The sanctuary of the former St Hugh`s Mission Church in Jolimont was consecrated by Archbishop Riley on the 27th July 1924. The West Australian (Perth) 26th July 1924. 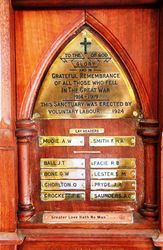 This sanctuary was erected by voluntary labour 1924. "Greater love hath no man" St John XV 13.